The series so far: The Definitive 50 GameCube Games. The GameCube’s library of RPGs might not be the deepest, but there are some true gems. I’ve already covered memorable titles like Phantasy Star, Paper Mario, Baten Kaitos, and Skies of Arcadia, and today I’m here to talk about the system’s best role playing game. Namco’s Tales of Symphonia. Stop me if you’ve heard this one. A young, spiky-haired orphan, full of energy but lacking direction is cast out of his humble village after a reckless act brings despair to his town. That’s the story of Lloyd Irving, Symphonia‘s twin-blade wielding hero. After his early troubles, Lloyd is forced to step out into the larger world, meeting up with childhood friend Colette, who happens to be the Chosen of Regeneration. She is on a traditional journey to gather seals, and eventually give up her humanity as a sacrifice to save the world. Joining Lloyd and Colette are Lloyd’s best friend Genis, Genis’ older sister Raine, the mysterious Kratos, ninja Sheena, ladies’ man Zelos, the strong but silent Presea, and the shackled Regal. As Lloyd and team follow Colette on her journey, they slowly discover that her mission to regenerate the world is not necessarily the honour they’ve been raised to believe. Twists, turns, and betrayals follow, with Symphonia‘s sprawling story taking the party to far lands, deep dungeons, horrific facilities, and mystical realms. Lloyd and crew take the fight to the ancient organizations which constructed Colette’s supposedly necessary journey, revealing the real plans of the angelic but fiendish Cruxis half-elves, and the human-enslaving Desians. It’s all set against the beautifully bright, cell-shaded world of Sylvarant, filled with its anime-styled residents. Story telling is handled in numerous cutscenes that come in rapid succession as progress is made. All the drama that unfolds keeps the player pushing forward to find out what insanity is next to come, even if the voice acting is sometimes a little hard to take. Symphonia‘s action RPG battle system is truly a thing to behold. Rather than limiting character movements to a menu, fighters are controlled by the player on a roughly 2-dimensional plane. The player controls one party member: hacking, slashing, and casting at the enemy, while the other three party members are AI managed. The action doesn’t stop there, with environmental puzzles featuring heavily outside of battle. Tales of Symphonia isn’t just a great game, it’s also a collection of brilliant features that demand to be included in every other game of its genre. For example, there’s the simple but all too often absent ability to see and avoid enemies in the environment. Another smart inclusion is the Grade system, which lets you earn a type of currency that can be used to buy features for New Game Plus replays. Most importantly, there’s the Synopsis function. This simple entry in the game’s menu is a gaming timesaver of unmatched proportions that should be included in every action, adventure, and role-playing game. The Synopsis is where past activities are summarized, and next steps are explained. With Tales of Symphonia, you never have to worry about leaving the game too long, only to come back wondering where you were going or why. It’s all right there in the glorious Synopsis. Although subsequent Tales games would wind up on the PS2 rather than the GameCube, fans of Symphonia were treated to a direct sequel on the Wii, called Dawn of the New World. Lloyd, meanwhile, remains a favourite among Nintendo fans. I think a Smash Bros. appearance is in order. 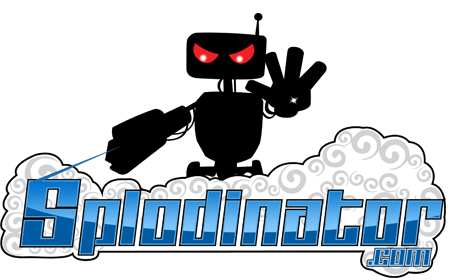 Splodinator.com - Specializing in retro gaming, Nintendo fandom, and nerd culture.